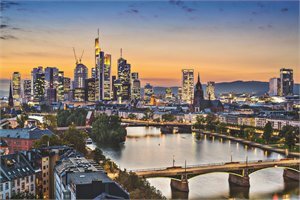 Situated opposite the main railway station in the heart of Frankfurt, Hotel Excelsior is only minutes to the main shopping area. Each well-equipped room offers excellent and quality amenities with a buffet breakfast, mini bar and Wi-Fi all included in your stay. Enjoy the relaxed atmosphere of the hotel bar as you sip a glass of fine wine and sate your appetite with delicious food. NOTE: Room is based on 1 Double Bed or 2 Single Beds. Rates exclude city tax per person per night which is payable direct at the property. Stay in the charming Hotel Monopol. Located in a historic building, this hotel is conveniently situated in the heart of the city, next to Frankfurt Central Station. With 100 rooms and suites, choose from a variety of accommodation options. Enjoy a delicious buffet breakfast at the restaurant as well as complimentary Wi-Fi and a mini bar in your room. Rates are based on Fri-Sun night stays, surcharge applies for Mon-Thu night stay. 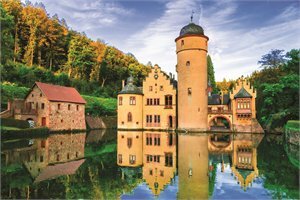 See some of Germany's fairy tale castles and whimsical towns along the Romantic Road. Travel to Wurzburg, where the romantic route begins. This pretty town is home to Mespelbrunn Castle. Walk through the vineyards and sample some of the wine from the castle cellar (own expense). Take in one of the oldest and most beautiful cities in romantic Germany, Rothenburg ob der Tauber and the idyllic medieval town of Dinkelsbuhl. In Fussen, visit the fairy tale castle of Neuschwanstein and the beautiful Linderhof Palace. See the sights of Frankfurt including Goethe's House, St. Paul's Church and Goethestrasse. Tour Nuremberg's historic city centre and hop on and off at the attractions of your choice in Munich. Visit the famous castle Neuschwanstein and explore the city that is well known for famous cars, Stuttgart. The heart of Germany is filled with scenic villages and towns, historic castles and German cuisine. 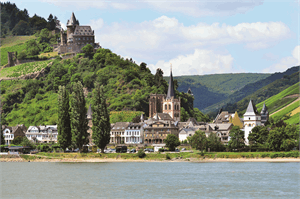 Enjoy a cruise along the most picturesque stretch of the Rhine, visit Freiburg with its beautiful church tower and Munich, famous for Oktoberfest. For departures including Oktoberfest, please enquire. Guaranteed departure dates with a minimum of 2 people travelling. PACKAGE TERMS & CONDITIONS: It is our policy to present the cost of our holidays inclusive of all airport and government charges. Please accept however that these charges are not within our control, therefore we reserve the right to pass on any increase.. Travel agent professional service fees where charged, will be additional to the advertised prices. Closeout and blackout periods apply over school holidays and peak holiday periods & availability of seats & rooms is likely to be very limited over this time . Valid for sales to 31 May 2019. Valid for travel commenced and completed within the period 26 Apr 2019 to 31 Oct 2019 (unless otherwise specified).Accommodation Surcharges apply during Trade Fair periods. A City Tax applies and is paid direct to the hotel. Please note there is limited availability on the advertised room types and all pricing is subject to change until a reservation is confirmed. Inventory & availability can change on a daily basis. Strictly subject to availability for all components. Minimum numbers may be required for tours to operate. 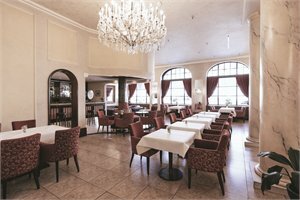 Clients receive the documentation pack for the 5 Day Romantic Road & Castles, 7 Day South Germany by Train and 12 Day The Heart of Germany at the first hotel. Self-Drive: An International Driving Permit (IDP) is highly recommended for non-European Union renters. A non-refundable deposit may be required at the time of booking. Please enquire for an up to date price at the time of booking. Prices shown are based on per person costs in New Zealand Dollars, for payment by cash, cheque or eftpos only. Credit card sales not permitted unless Travel Agent acts as a merchant. Strict cancellation fees apply. Packages are based on consecutive nights. For split stays please contact your travel consultant. For full terms and conditions and cancellation fees please contact your local travel agent for more information.